Today we hear from our new Joburg correspondent, Nicole Ravenscroft, with what we’re looking forward to being the first of many guest posts from this vibrant city. Miniature stools are the latest seating bling in Jozi. Functionally they are great for small spaces and also allow for interesting height dynamics in a room. Finally I can breathe: being short is in fashion! 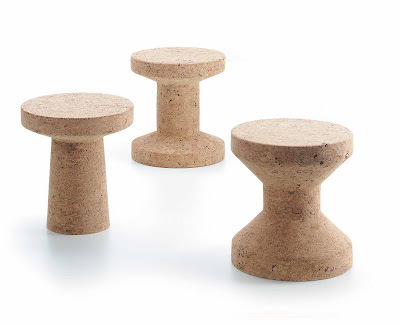 Space vengeance meets organic lines with Vitra’s soft cork stool/table , giving a light, amusing flare to a room. 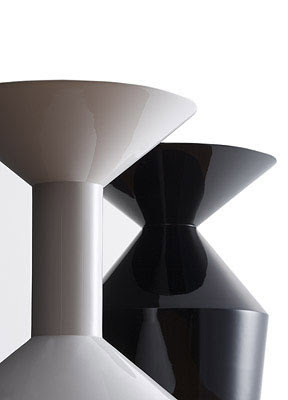 Similarly shaped, but made of plastic, I rather fancy the Plastic stools (below) by Italian company Parri. 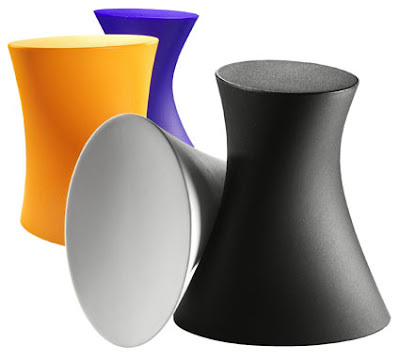 More geometric plastic stools (below), this time the Shape stool by Viccarbe, can be used as a stool or a small table. Group them to create ever-changing patterns and groups – great in a modern office space. Find all of these locally at Sean Williams. Jump back into your imagination with some playful animal-themed stools. 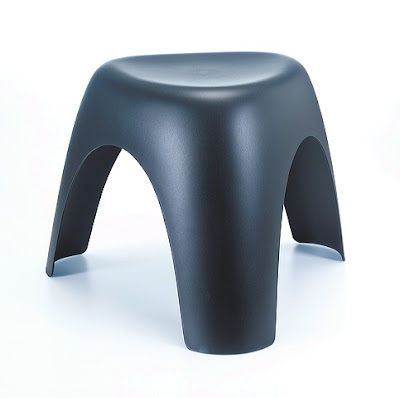 The Elephant stool by Vitra, was originally made in aluminium, and is now available in polypropelene. 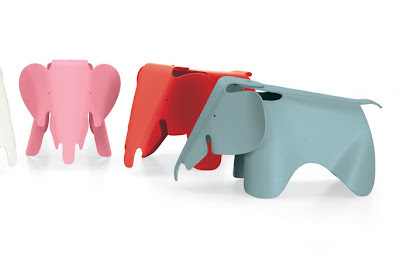 And, of course, the classic plywood Eames Elephant (below) by Charles and Ray Eames, is also from Vitra. These are great for children rooms, but hey, I would quirk my space with them too. So come on everyone, take off your heels, pull up a stylish stool and join us shorties!